As far as dream band collaborations go, there’s no doubting that a few of us have occasionally wished for a different backing for Deftones’ Chino Moreno. Not to denigrate his backing band, but as good as the cathartic groove provided is, it can sometimes feel like a step below what the undeniably talented vocalist deserves. Step up members of the late and much lamented Isis, then, Bryant Clifford Meyer, Jeff Caxide, and Aaron Harris, people who know full well how to put an epic soundscape together, and you have the ingredients for something very special indeed. And the resulting mix is that in spades, the perfect combination of Isis at its most melodic and cinematic and Deftones at its most contemplative and yearning. ‘Isitones’? ‘Deftisis’? You can see why they chose the softer title after listening, rather than picking something that sounds like a skin disease. Given the parent bands’ multifaceted sounds, Palms could have ended up as a groovy stomp-a-thon, but instead the group have largely mixed the two at their most beautiful. We do get hints at the past heaviness of Isis, yet always shackled and put to work in launching Moreno’s vocals into the stratosphere, and mainly early in the album. Opener Future Warrior, for example, opens with new-age-y synths and tapping drums, yet quickly develops into something much more like an Isis song, the guitar riffs at their heaviest. The following Patagonia mellows things down a lot, moving towards heaviness yet always shying away from it, and Mission Sunset takes a good half of its nine-minute running time to build up into an impassioned plea from Moreno, and then returns to its gentle, blissed-out post-rocky smoothness. That smoothness flows through much of the rest of the album, from the oddly infectious Shortwave Radio to the closing, almost ambient Antarctic Handshake, a nine-minute meander through buzzing drone and soft, melodic textures that ends with strummed riffs amidst an aural waterfall. One of the most impressive things about Palms is how natural this collaboration is, how right and fitting the songs are, how well they flow through your ears like aural chocolate. It was a real shame when Isis split up, as although the band stated that it had achieved everything that they set out to do there was still something of a hole left. A softer, gentler version fronted by Moreno is definitely welcome, despite the fact that it really does little new or different from what we’ve heard before. 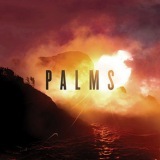 Here’s hoping Palms is a project that will go onto do just that; in the meantime, this is a lovely listen that will please fans of both the original bands.